At least here in Canada. Maybe its because winter comes earlier to us than to the majority of our southern neighbours, but we celebrate thanksgiving the 2nd Monday in October. Like them its a shopping holi…. no wait, wait sorry, it isn’t! While we don’t have any history of pilgrims and sharing with the native Indians, and our thanksgiving history is all over the map (celebrated in April at one point! See the link above) it, at least now, is a celebration of the harvest, thankfulness for what we have, and of course family and friends. It is also known in our lighter way as Turkey Day, and turkey is the traditional meal cooked for some on the Sunday or other the actual Monday holiday. In my family, and I think for most Newfoundlanders, we ate thanksgiving dinner at Newfoundland dinner time (lunch) on Sunday, and it consisted of Jiggs dinner with all the fixings, dressing, peas pudding, etc. One thing I want to mention though is something I really haven’t seen since I moved away. We, in Newfoundland, had what I thought was a common blue potato, but I don’t see them up here. All blue potatoes I see here have flesh that is completely blue, not like the blue we had back home, and pictured. 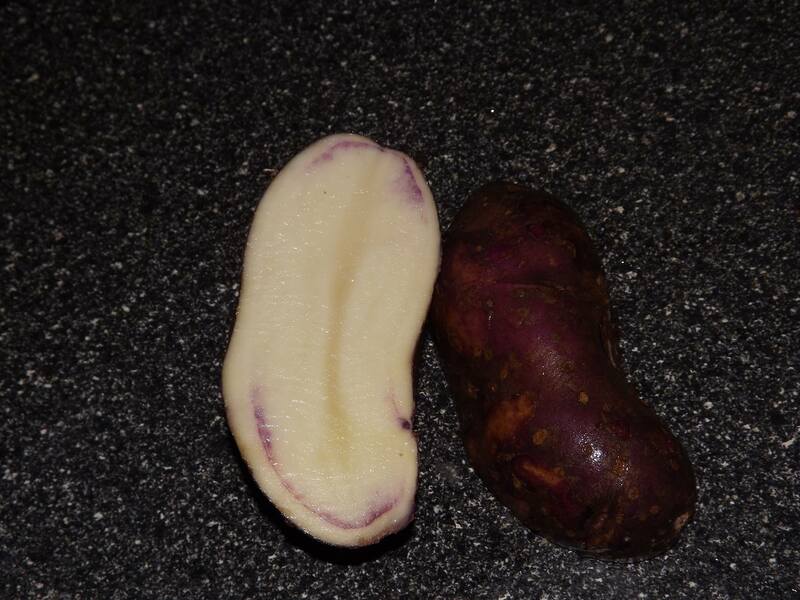 These have bluish/purplish skin and white flesh with blue veins. Also with dinner there were likely to be puddings! Now the problem with pudding is… what kind? My dad used to make a flour and baking powder pudding that is similar in taste to a tea biscuit, and its served with the dinner. My buddy Bernard calls it a gravy biscuit. There’s also pudding, or duff, that is, well I honestly don’t know what its made from, but its boiled in the boiler with the dinner usually, and served for dessert traditionally with molasses cody. 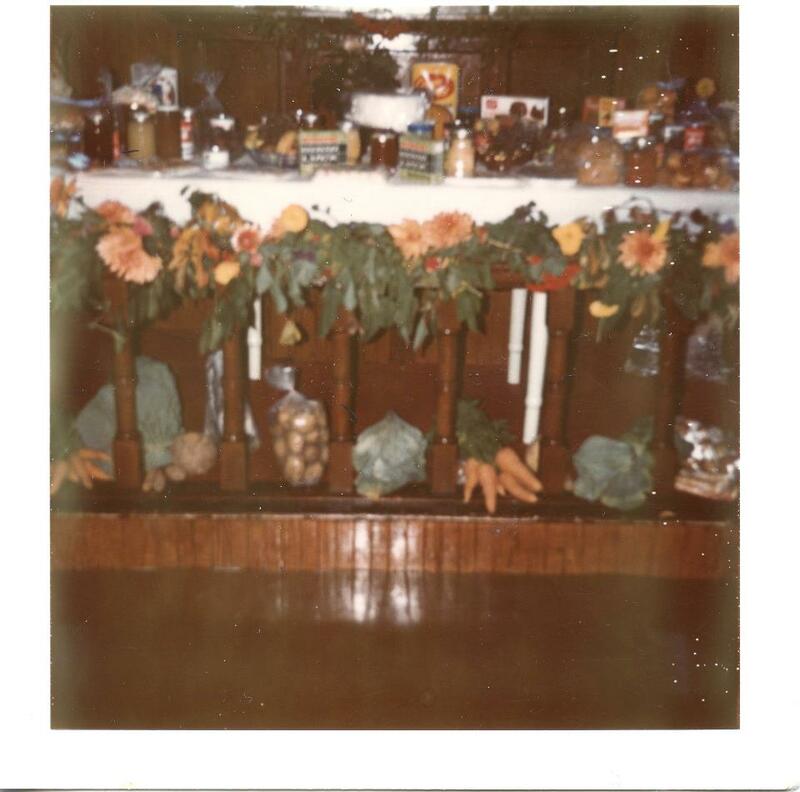 Besides the traditional gathering of family and friends, and belly bursting food, Thanksgiving was also traditionally a time to share the bounty. 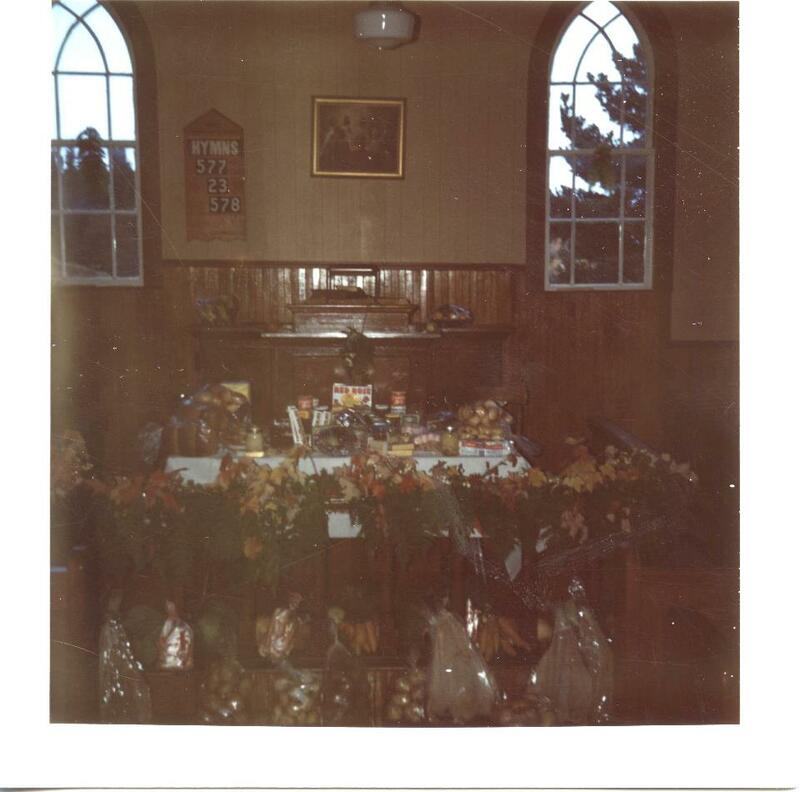 We would always have a special thanksgiving church service, and people would bring vegetables, meats, fish, preserves and other purchased staples to the church, which would be gathered and shared with the more needy after the fact. I’m sure there was also a little “showing off” involved, as it was always nice to have pride in how good a crop of potatoes or carrots or whatever you had. It also often led to trading. Often times people back home traded what they had for what they didn’t, and this worked in reverse in other years. For example, if you were lucky enough to kill a moose, or own a cow, you might trade a quarter of beef or moose for potatoes or vegetables, etc. I hope you and yours have a great thanksgiving from me and mine. Loosen your belt, laugh with family, eat some duff, splurge on the gravy, and remember to hold everyone dear close. Happy Thanksgiving! I remember people growing vegetable marrows too now that you mention it. But I don’t ever recall what they used them for, if anything.